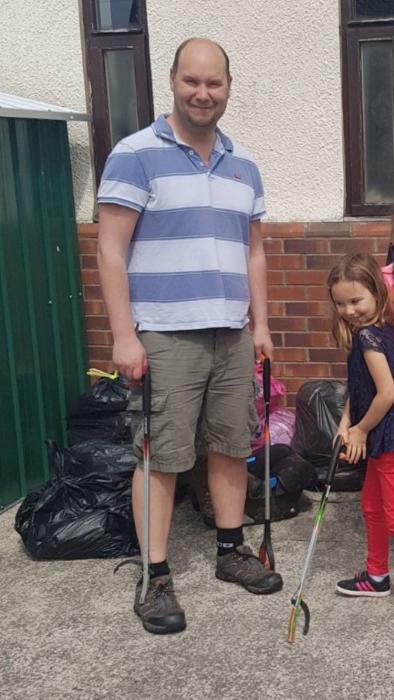 The litter-pick was organised by Councillor Mark Holliday, who represents Mirehouse on Copeland Borough Council, and was supported by the Council's Waste team. Further to the general waste found including cans, bottles and plastic, the team discovered a discarded bike and a child's car seat. Joining Coun Holliday on the two-day clean-up were his wife Michelle and children Jessica and Thomas, along with Whitehaven town councillor Siobhan Gearing and other community members. Areas tackled included the Wasdale railway arch and the cemetery, and the vicinities of Mirehouse Community Centre and St Benedict's Rugby Union Club. Coun Holliday said: "The clean-up was a success, but it was disappointing to see the amount of litter - and sometime bulky items - that's being dumped. "This council doesn't have the resources to continuously clean up after irresponsible people, so I'd urge people to take better care of their own communities."